August | 2014 | Eugene is huge! Roaring Currents is a big letdown, and here’s why. Okay, so it’s been a while, and I thank the people still subscribed to this blog for their continued attention. Today I am going to review a movie that is breaking box office records here in Korea. 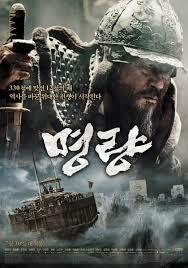 It’s called Myeongryang in Korean and Roaring Currents in English. The synopsis: During the Imjin War, (1592-1598), a Japanese fleet of more than 300 ships is invading Korea, and Admiral Yi Sun-shin has 12 ships with which to defend the country. It’s not a spoiler if I tell you that Yi was successful. That would be like saying the Titanic sunk in the film Titanic. 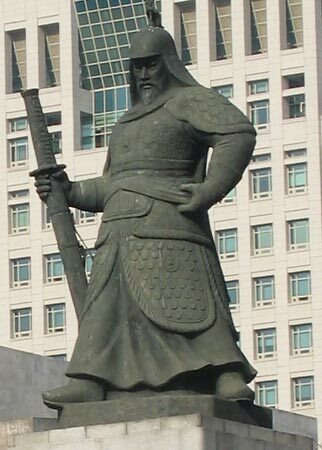 As such, Yi is a revered national hero in Korea, and very respected in Japan for his strategy that defeated the Japanese navy against overwhelming odds. I love war movies, so I was really excited to see this, especially since it had been getting such rave reviews in the Korean media. Korean films that Korean moviegoers like are generally good films. Some of my favorite Korean war-genre films include Shilmido, Taegukki Brotherhood, and 71: Into The Fire. As far as other war films outside of Korea, I liked Platoon, All’s Quiet on the Western Front, Saving Private Ryan, Joyeux Noel, Full Metal Jacket, and Inglourious Basterds. I’ll get to what it is about these films that I really liked later. At the same time, there are war movies I don’t like. I won’t name them here, but you can be sure they will appear later in my analysis. So let’s get into my experience watching the film. As my wife and I stepped into the theater I was in high anticipation of this film. The theater was packed. I had just watched Guardians of the Galaxy a few days earlier, and was fun as that was, I was in the mood for a real serious tension filled historical period film that would really deconstruct what happened centuries ago and let us know the motivations behind a historical hero I had been hearing about since childhood. Remember, this is a guy who has a prominent statue in downtown Seoul. Remember, this is a guy who has a prominent statue in downtown Seoul. X: This is the Statue of Liberty of Korea. Y: Stop saying that Korean things are the Korean version of foreign things. So the movie starts, and Yi Sun-shin and his advisors are discussing the dire situation ahead of them. There’s one guy in there that looks sneaky and evil just from the way he looks and speaks. Everyone else is really handsome and noble looking, but this guy looks like he’d double cross his mother in a heartbeat. The movie just started, and I don’t know exactly who this person is, so it doesn’t register with me yet. Then there’s a cut away to the Japanese side. They are discussing strategy. Immediately I burst out laughing. Want to know why? I’ll explain after the jump.